We pass each other every Summer. My cycling brothers and I. Surfing the same roads. For different reasons. They’re after speed. I’m after experience. They’re after how many kilometers in a day. I’m after memorable meetings. 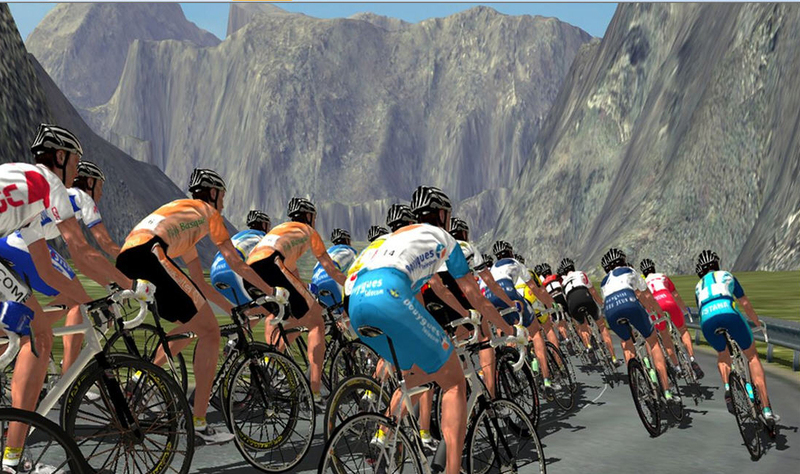 Alas(for them) dear reader, the Tour de France does not stop to smell the roses. It is a giant iceberg of business. The actual tour – just the tip. The goal is cash. Endorsements. Sponsorships. Fame. And it is speed that opens this vault. Dizzying speeds(and are’nt they the best kind?) down mountain slopes. Superhuman pedal pushing to bolt ahead of the pack. Frantic finish line accelerations. 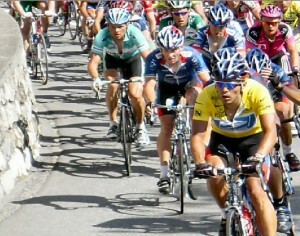 But it is not just speed that attracts the crowds that line the Tour de France route. Nor is it the 15 seconds of fame as the lycra clad platoon annoints their village. No, dear reader – The Tour de france is much more than that. It is a patriotic glue that binds all of France into a cohesive, unified whole. A rallying point of quintesstial “Frenchness.” More intense than football. More unique than the Monaco Grand Prix. 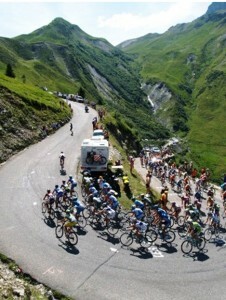 The Tour De France amplifies and galvanizes the World’s awe of all things French. My awe of all things French, as you are well aware, takes a different turn on these country roads. No speed. No cash. No problem. Marvellous meetings with remarkable people. In picture postcard places. Shared with words and images. 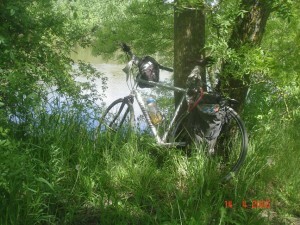 True(but not sad) – I am the “slow food” of adventure cycling! Although every business masquerading as a sport has it’s accusations of “chemically enhanced” performance, The Tour de France’s are perhaps the most publicized. Never known for their euphemism – the French label this : “Doping.” The three questions, bien sur, are – Where do you draw the line? And equally importantly – who draws it? “Independant” Labs? Sport Industry regulators? 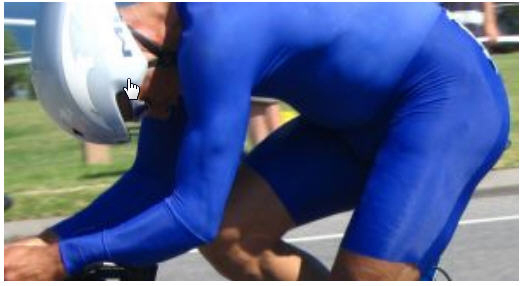 Where does “enhancement” end and “doping” begin? Clearly no Sport that chases big bucks is ever a “White Wedding.” And just as obviously – those of us who don’t play the game – have no idea of how the game is played. For real. Every day. Down in the trenches. We’ve never experienced the pressures, the intrigue, the politics and the rest of that enchilada. Therefore, we have no business spouting off about what’s Kosher and not. 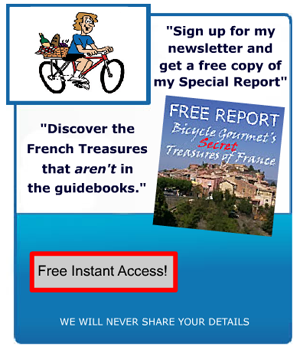 What I do have business spouting off about – is the fact that all of my French cycle travels have been “Chemically Enhanced!” Yes, dear reader – it’s true! Every day, vitamin C. (1000mg) Before every wine filled evening – Doliprane. (1000 mg) and, yes, I’ll admit it – a sleeping pill now and then. So, The Tour de France and I have more in common than just travelling the same roads. Although my welcome has been warm in all Western European countries – I can’t help but think that the Tour de France, and it’s place in French Culture, have contributed big time to the amazing French Hospitality I’ve enjoyed. And so – a tip o’ my visor to all my spandex swathed Bros – Natural, chemically enhanced, and in-between. Bonne Chance Chers Amis! interesting perspective on sport vs business. something that needs to be considered more . I totally agree with you on the “doping” thing. And good for all of us to be reminded that all big sports are big business. Love the way you visually contrasted the difference. Photos of the Tour speeding by, then your bike, snoozing in the grass. Well done! your post gives a very balanced and down to earth overview of the tour and it’s place in french culture. And in the life of the bicycle gourmet. more power to you both! never thought about the tour in that way before – business i mean. Like the way you contrast your two different styles of travel. While I would have appreciated you delving further into the cultural implications of the tour – a very informative and enjoyable post. As always. Keep up your high standards.